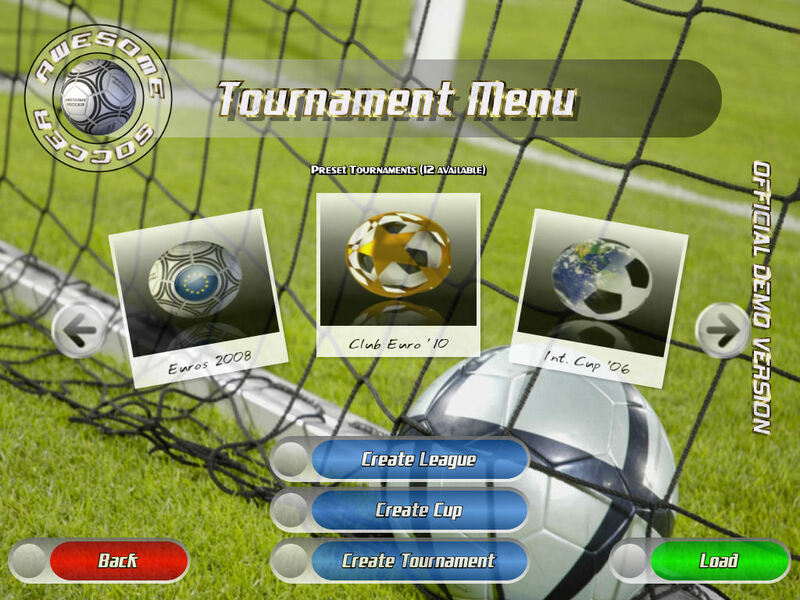 Just a quick posting to let everyone know about a Java game I've been writing over the last couple of years - "Awesome Soccer". EDIT - The game is now complete and has been released. 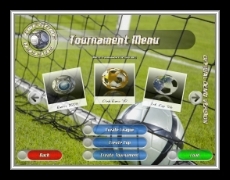 My aim was to retain all of the things that made Sensible Soccer and Kick Off 2 great - ie fantastic gameplay, but to (hopefully) add some modern sheen and polish, and to incorporate the new features that we've been become accustomed to within the genre through games like ProEvo/Winning 11 and FIFA Soccer. Looks pretty cool! What technologies did you use to make this? LWJGL? JOGL? etc. That looks .. awesome! SWOS is one of the greatest games of all time. I haven't used LWJGL or JOGL - it's all pure Java2D! I do use JInput for the controllers though. I am working on that....trying to package it up with IzPack at the minute. No reason why it shouldn't work. Many thanks for all the downloads thus far; and I'd be grateful for any feedback you can provide. Despite having 50+ downloads of the game, no-one has yet provided any feedback, so I'm trying to identify why that might be from some of the regular forumites. Is it "normal" to get lots of downloads, but no comments? 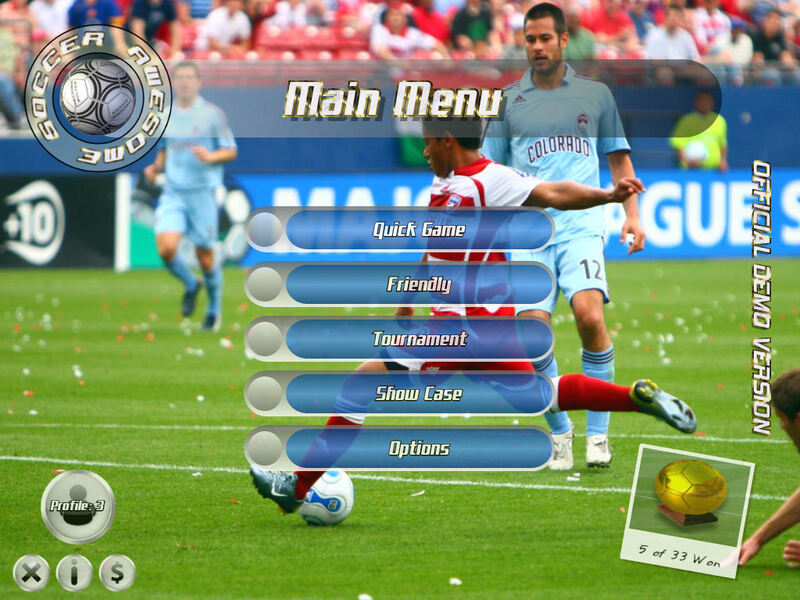 - I played the Mac version, which was actually an Application Bundle for once. Well done on the distribution! - the keyboard and mouse click detection in the menu are really jerky, several times I had to click twice because the game didn't 'accept' my click the first time. 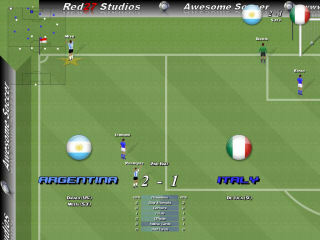 - even though I selected Juventus as my team the shirts looked like Brazil vs. Argentina. I assume this is because the game's in alpha. - when the player in possession changes the camera has some problems. 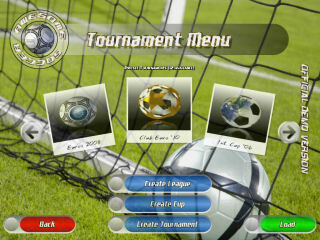 - it's too difficult to pass, so you'll end up dribbling all the time. 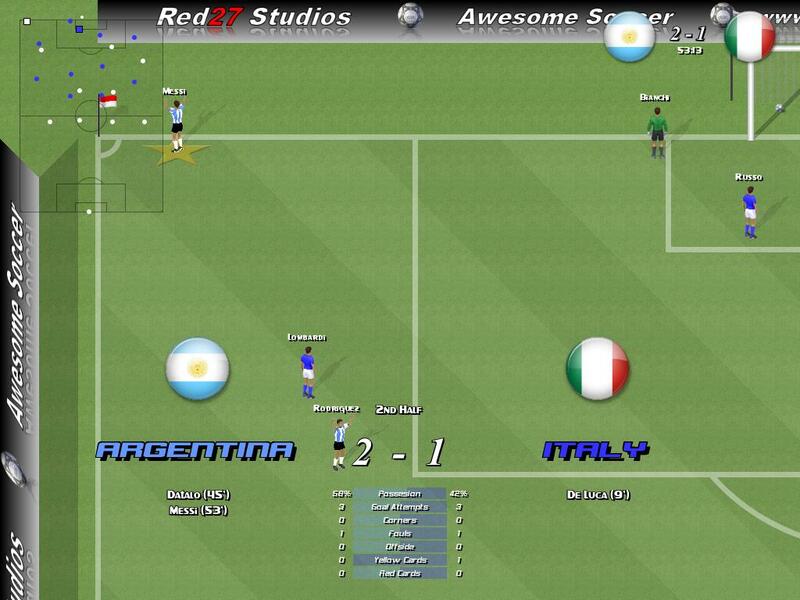 I know that was the style of Sensible Soccer too, but it would be nice if it's at least possible to pass. 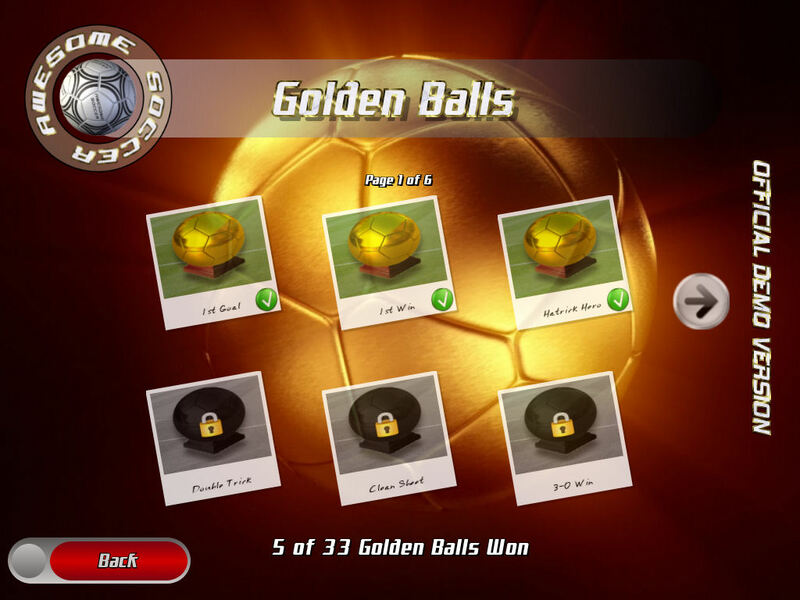 - penalty kicks are implemented in an original way, which might actually be the best I've seen in any football game. - long shots depend greatly on the ability of the player, so that should eliminate 30 yard shots from players like Gatusso etc. - the AI needs some serious work. I was able to slalom around all CPU players (including the goalkeeper) and just walk the ball in without actually having to shoot. Thanks for the feedback Mr Gol. 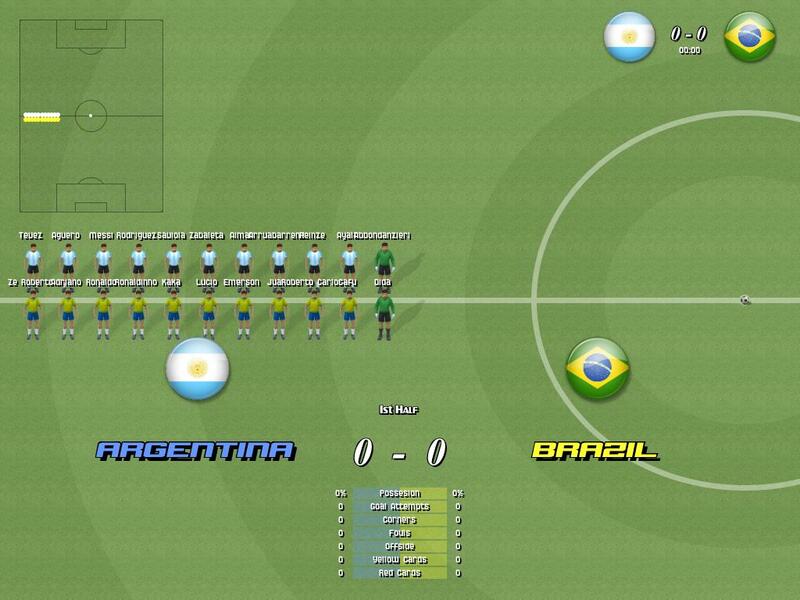 Yes, the kits are currently always Brazil vs Argentina within the Alpha. 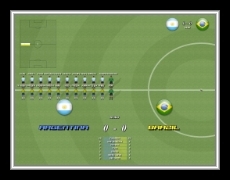 It is definitely possible to pass (by tapping the space bar or controller action button) - it will automatically pass to the nearest player in the general direction you are facing - had you tried that? Long shots - do you mean the amount of bend you can apply should be reduced for lower skilled shooting players? accessible to a new player but still a challenge to a regular gamer. Glad you like the voice actress! As an aside, I think I will offer the opportunity to view the tutorial rather than defaulting it on first play. Finally, a couple of questions if I may - how was the overall peformance of the game on your Mac, and what spec is the machine? - I tested on a MacBook with a Core 2 Duo (2.1 ghz) and 2 GB of memory. I didn't notice any performance problems, but maybe it's useful to have the option of a FPS counter. - Correct, the controls are unresponsive in the menu, in-game I didn't have any problems. - I'm not exactly sure what I noticed with long shots, just it 'feels' like the shooting ability is dependent on the ability of the player, which is good. - About the passing, I know it's technically possible to pass the ball, but it's just so much more efficient to just dribble and shoot. Thanks again for the feedback. By the way, pressing F9 in game will show the (internal) current and average FPS counts. For info: I have a Linux distrib (IzPack installer) and I'm be looking for volunteer testers...post here if you're interested. That's pretty cool. I didn't try out much gameplay, but for Java2D it looks good. I thought Java2D was too slow for graphics like that, maybe I'm wrong. What did you use to make the windows installer? Is that IzPack? Thanks JavaMan2 - Java2D is red hot! And the new Java 6u10 release brings so much to the table - wow - the guys at Sun have worked wonders! No, the Windows version uses NSIS as opposed to IzPack. If it's all pure Java2D (cool) how about a WebStart version so everyone with Java can try it? I'm on OpenSolaris, but I doubt there are enough of us to justify the effort for a Solaris-specific download. 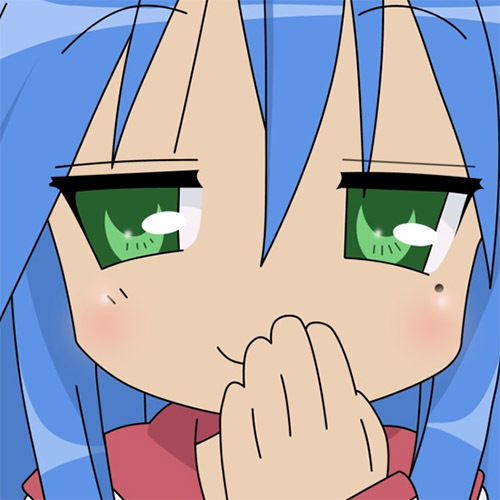 Sorry to dissapoint, but game shall be installer based for Windows, Mac and Linux only. If you are worried aobut the visual performance for the end user. then just make the linux, mac, and Windows. But then have and option for other people, and just have webstart . I could test it on Linux. I have Debian lenny with Sun Java 1.6.0u14 and fond memories of playing Valetta in the Maltan league in SWOS. The game is finally complete and available to buy for anyone who's been following the progress of the game. It's been a long journey getting to this stage, but I'd just like to thank the people from this site for all the support I have recieved over the last few months. congratz man, way to stick it to the end . Finally got around to creating a Linux Version....hope you enjoy! Very very nice to see that there are other people who develop a big game in purely Java2D, as I am.